Ahhh, October. Finally. Finally! I live for this time of year, don't you? No more stifling summer temperatures (not that we deal with that much in San Francisco, but I'm feeling for you other people with normal summers out there), and yet still a good stretch away from the "it's frickin' FREEZING!" weather. Cute sweaters and boots abound on the regular. Still a solid month away from dealing with the holiday insanity, and yet it's totally, completely baking weather. Hooray! October and all your glorious in-between-ness, I love you so. You're a total dreamboat. To celebrate the sort of lovely limbo that is this time of year, I give you Pumpkin Pie Pavlovas. They're basically October in dessert form--a cross between the feather-light pavlovas that we piled with whipped cream and summer berries a couple months back (or this deconstructed cousin we put in our faces in July), and the spicy-sweet pumpkin pies that we'll all be craving several weeks from now. The kind of thing that lets you deliciously usher in the fall season, savoring every autumnal bite while not dealing with your mother calling you every eight minutes to ask what you're planning on doing for Christmas. Ahhhh. At its base, this recipe has a good, sturdy meringue shell, one of my favorite things to make in the whole wide world. Of course, you can totally use store-bought meringues and I won't judge, but I'll tell you what, friends. If you make them from scratch, you can add a whole bunch of spicy-sweet Vietnamese cinnamon, which is so good, I can't talk about it on the Internet without generating a whole lot of unsavory search traffic. So I'll just say this: Cinnamon meringue. I dare you not to lick the bowl clean. Once the meringue shells are piped and baked, the rest of this recipe is only minutes away from being in your belly. Pumpkin puree. Cream cheese. More fall spices. Fold in whipped cream. Again, try to not lick the bowl clean. It's a theme with this recipe, yes? What you end up with is a dessert that is so other-wordly in its flavors, its textures, its overall delightful contrast, it will render you unable to resist reaching over and stealing the plate from the person next to you. Then again, you could just avoid that problem and eat all of them yourself. It's big sweater weather, people! Go for it! You can make the meringue shells a couple days in advance, no problem--just store them in an airtight container. The mousse also holds well for an hour or two. In the bowl of an electric mixer fitted with the whisk attachment, beat together the egg whites, cream of tartar and salt on medium-high speed until very foamy and just barely holding a shape, about 2 minutes. Gradually add the sugar, continuing to beat until firm peaks form, about 3 minutes more. Beat 1 final minute on high speed, adding the vanilla and cinnamon. To make the pavlova bases, transfer the meringue to a pastry bag fitted with a large round or star tip, or use to spoons to form 6 shells, each about 4 inches in diameter. Bake until the meringue is firm and crisp, about 1 1/2 hours. 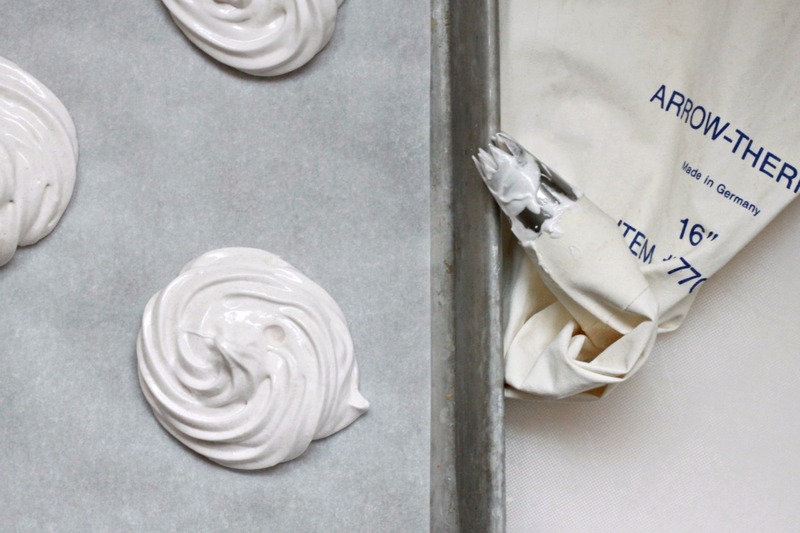 Turn off the oven, crack the door slightly, and let the meringues cool for 1 hour more. 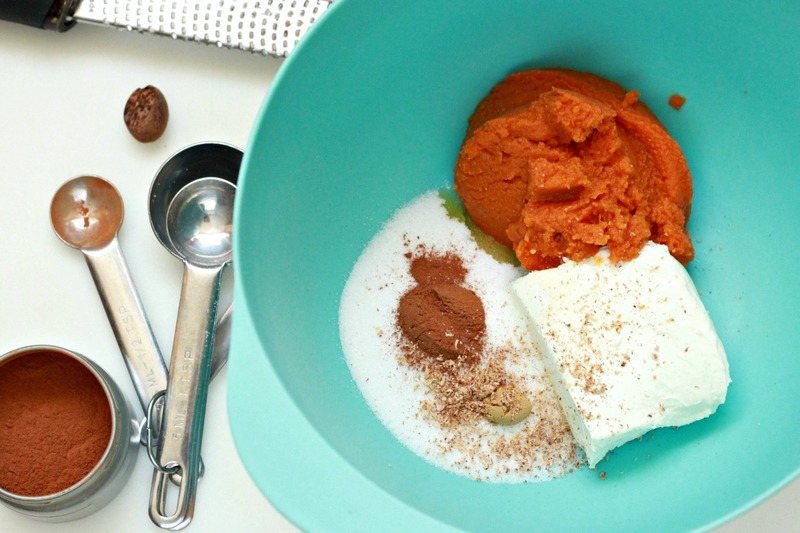 To make the pumpkin mousse, in a medium bowl with an electric mixer, beat together the pumpkin puree, cream cheese, sugar, cinnamon, nutmeg, ginger and vanilla until very smooth and light and fluffy in texture, about 2 minutes. In a separate chilled bowl with chilled beaters, whip the cream to firm peaks. 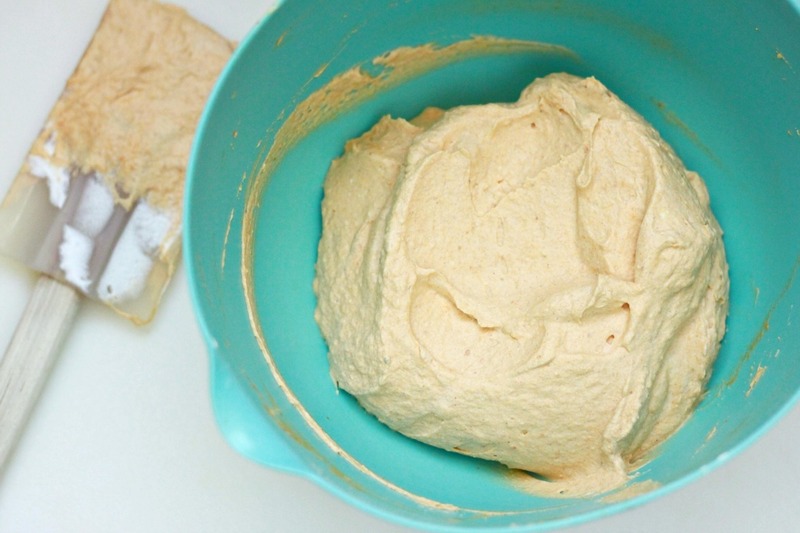 Stir about a third of the whipped cream into the pumpkin mixture to lighten it, then carefully fold in the remaining whipped cream until the mousse is well-blended. To serve, place the meringue shells on dessert plates. Divide the pumpkin mousse evenly among the shells. Sprinkle with crushed graham cracker crumbs or a dusting of ground cinnamon. Serve immediately.